IT’S A JAZZ PARTY! The San Diego Jazz Party, February 23-25th, is celebrating their 30th year of presenting world-class mainstream jazz musicians, all of whom are popular and renowned recording artists. 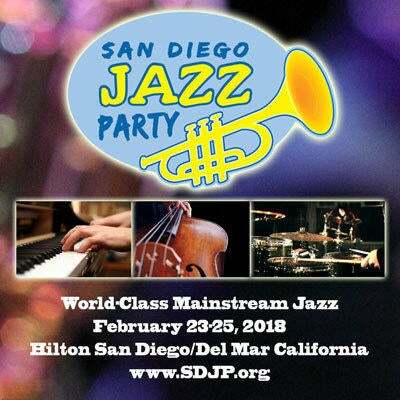 The San Diego Jazz Party is held at the Hilton Hotel Ballroom in beautiful Del Mar, California, the weekend of February 23rd. For information and reservations, please visit their website at www.sdjp.org.